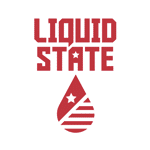 Liquid State Vapors, are committed to high-quality e-liquid and producing responsible packaging, branding and marketing. Their juices are part of our premium Max VG line, using only the highest quality ingredients, flavourings and nicotine. We draw our inspirations from US states and the special flavours of that state to make them unique and memorable.